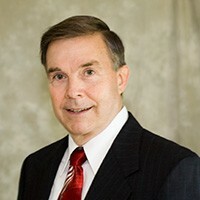 As president of Engler Financial Services and branch manager of Cadaret, Grant & Co., Luther oversees office management. He also assists investors with setting their financial goals. He assesses their risk and designs appropriate asset allocations to help them reach these goals. He has a master's degree in business administration from Rutgers University. He holds a full series 7 securities license and is a Registered Principal with a series 24. Finally, he is licensed to conduct securities business in 13 states through his series 63 license. Luther is a former Marine and a retired Newark Police Captain. He has almost 30 years of experience in the financial services industry. Outside of work, Luther enjoys rooting for Notre Dame and Villanova sports teams. He is an avid Country Western dancer and enjoys reading, travel and family.